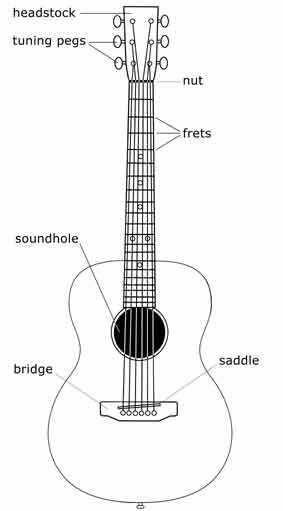 The picture above is an acoustic guitar. The above fingerboard chart shows a 14-fret guitar neck with all natural tones and sharps and flats (accidentals). Suggestions or comments? Tips that I should know about, send them to me. Send this lesson to friend.